Minister Scott Morrison has pledged $5 billion will be spent to help farmers prepare for and fight the impact of future droughts..
A $5 BILLION fund to guard Australian farmers against future droughts will be at the heart of the government’s plan to tackle barren conditions over the next decade. The Future Drought Fund will help primary producers, non-government organisations and communities prepare for and respond to the impact of drought. Prime Minister Scott Morrison has announced the fund, which will be underpinned by an initial $3.9 billion injection before growing to $5 billion in 2028, ahead of Friday’s national drought summit in Canberra. Mr Morrison said the step comes after farmers across Australia urged the coalition to prepare for the future. 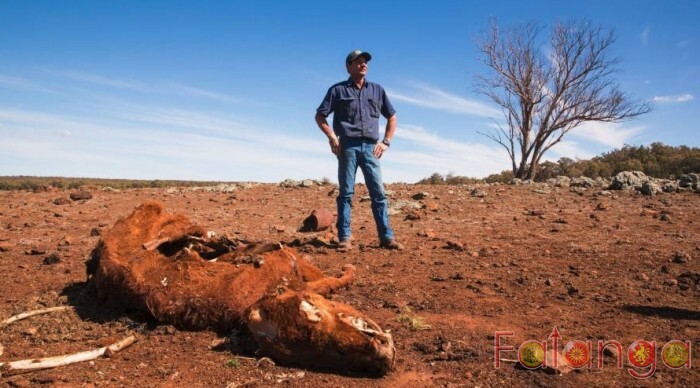 “This has been one of the key messages we’ve had as we’ve gone around the country with Major-General Stephen Day who has been our co-ordinator-general on drought, and that is what we need to invest and build resilience for the future,” he told the Seven Network on Friday. “It really is about putting money away for a non-rainy day.” The money will be managed by the existing Future Fund board of guardians, who recently reported a 9.3 per cent return and a $145.8 billion balance in funds for 2017/18. From 2020, about $100 million per year will be available with payments starting from July that year.